The Luxury Travel Bible - Q&A Greg Farrell Jnr. Home / EXPERTS / Q&A Greg Farrell Jnr. 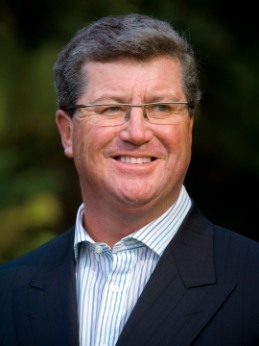 Greg Farrell Jnr is Managing Director of Federal Group, a widely respected Australian-owned family business and the world's second oldest hotel group. Under the banner of Pure Tasmania the group has a stable of luxury accommodation in unique settings including the much-awarded Henry Jones Art Hotel and Freycinet Lodge. 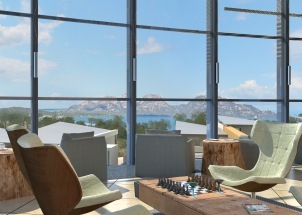 The newest luxury offering, Saffire Freycinet, has just opened. Farrell's other great love is his horses. He and his family remain deeply involved with all the handling and training of the Arab horses at the Farrell's Mulawa Arabian Stud in rural New South Wales. What inspired you to create your Pure Tasmania brand? Tasmania is one of the most special places on earth as it offers the very best of nature's natural resources and treasures, along with great driving roads, a welcoming population and some of the world's best seafood, beef and cool climate wines. What is the single most defining thing about Pure Tasmania? Pure Tasmania is best described as being 'authentic'. That is, the best locations in the state are aligned to natural iconic locations with the best hospitality people in the industry who sincerely love Tasmania and what they do, as well as unforgettable signature experiences. 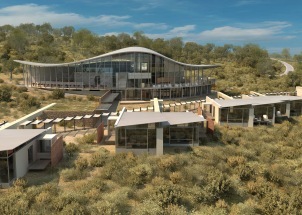 Freycinet Lodge, Cradle Mountain Chateau, Strahan Village, Henry Jones Art Hotel and soon Saffire Freycinet. How do you find such beautiful locations? All these locations spoke for themselves as they are either adjacent or adjoined to the premier locations in Tasmania. Our next project will perhaps be our most exciting, with an unbelievably beautiful site at Port Arthur overlooking the Port Arthur historic site, Carnarvon Bay and the Isle of the Dead. We firmly believe it is signature experiences which are unique and unable to be replicated by other operators that involve amazing scenery, a degree of adventure, amazing regionally-focused produce and unique modes of transport. What is your own personal litmus test for whether a property is worthy of the 'luxury' tag? I think it is the 'at ease' test where the service is friendly and seamless with the surroundings being uncompressing, but not ostentatious. Simply, a place where your requests are met with an air of efficiency and effortless ease. Blanket Bay in New Zealand as the location is breathtaking, the service is outstanding and the architecture is both powerful and relaxing with an amazing range of wonderful experiences. Unfortunately it has closed, but it was Mancusos in Scottsdale, Arizona - a classic Italian restaurant. Qantas - as it is Australian-owned (predominately). My phone, my PC and my blackberry. There are too many to single one out! With my wife Julie and children Gregory and Kate, we've been fortunate to be able to experience so many amazing memories from many locations around the world. Authentic people who really care about what they do and why they do it.